Upsets during processing equipment start-up may cause damage to filter bags that manifest months later, after it is too late to prevent damage. Coating the filter bag with Permashield Pre-coat Powder, a specifically engineered pre-coat powder, is an inexpensive option for protecting filter bags from blinding on start up. 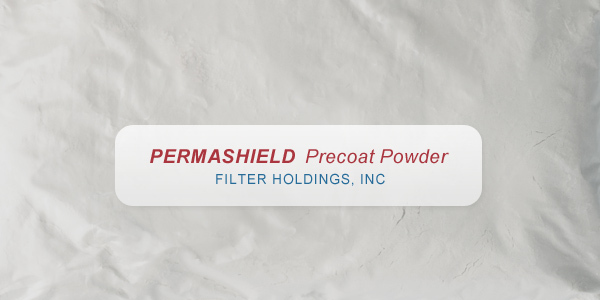 In addition to preventing filter bag damage from blinding at start-up, our Permashield Pre-coat Powder can also help maximize the service life of filter bags. Permashield Pre-coat Powder has a tightly controlled particle size for maximum protection. It covers the filter bag surface with a porous interlocked layer designed to prevent fine particles or product aerosols from reaching the fabric matrix. Permashield powder remains as a protective layer on the filter bag long after start-up and adds continuing protection to the bag from blinding, or attack by chemicals. Permashield Pre-coat Powder comes with a step-by-step guide with instructions for application, troubleshooting & recommended usage for different size baghouses. Using Permashield Pre-coat Powder in conjunction with our Detect-A-Glow leak detection powders, and leak detection light, is your best assurance for a successful start-up, headache-free processing and maximized service life.